Confused? Frightened? Feeling like no one else understands what you are going through? Parents who are raising youngsters with disabilities or special healthcare needs often times feel overwhelmed and alone. When many parents reflect back on their own journey, they say speaking with another parent who has been there was the most helpful support they received. 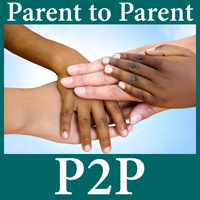 Would you like to connect with another parent who knows what you are going through on this journey? Let us know and we will do our best to match you to a trained Support Parent Volunteer. Our Support Parent Volunteers can understand and support you because they’ve had many of the same feelings and experiences you are feeling right now. They are someone who you do not have to explain the struggles you and your family are going through. They "get it". Click here to email Sandi Strang. Please include your full name and contact information in this email. You can also call 415.475.2142 to reach Sandi at Matrix.